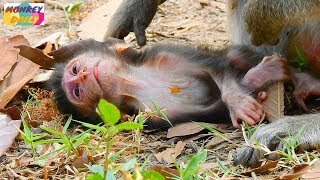 Newborn baby monkey Duke improving a bit better, he could move his arm and ope eyes look around. But of course, Duke still exhausted and sore of injury from yesterday. He is pretty strong baby - wish him better soon.